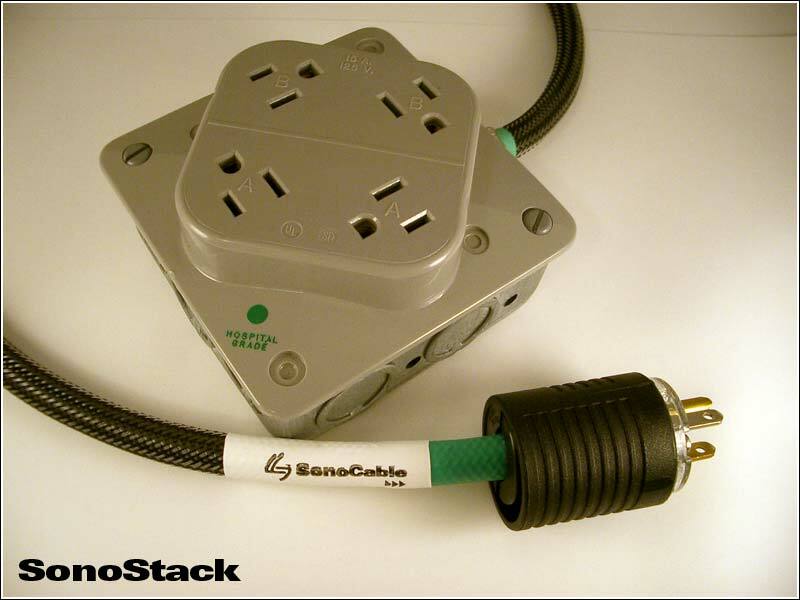 The SonoStack is a fantastic solution for adding additional outlets without sacrificing outlet quality. Using high quality hospital grade parts and the same quality cable used in our SonoSpike power cord, the results are truly outstanding yet affordable. Also available is an optional built-in capacitor filter network for additional ac line filtration. The cable is terminated with a hospital-grade Pass and Seymour Male Nema 5-15A Plug on one and and a Hubbell-Bryant Hospital Grade Quadplex on the other. 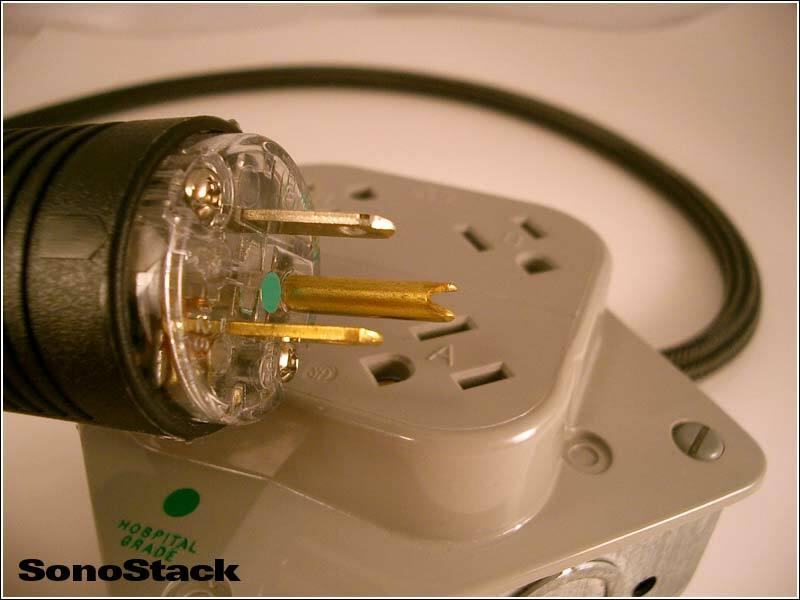 For each additional foot of cable, add one "Additional Foot" into your cart. For a more detailed explanation, click here.